Surety1 believes that it takes a corporate village to provide the level of service you deserve. Our team is a family. Take a look at our Facebook page to see what we are up to in our office. We challenge each other and we work together to create innovative solutions for our clients. The team at Surety1 collaborates with dozens of business partners across the nation. 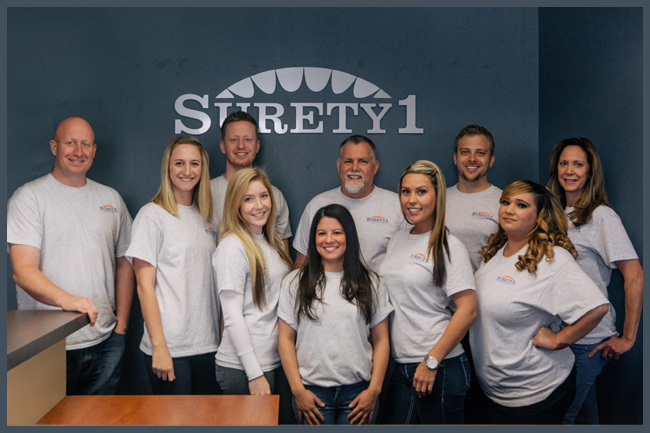 Our strengths in building relationships are what make Surety1 the number one surety bond company in the nation.